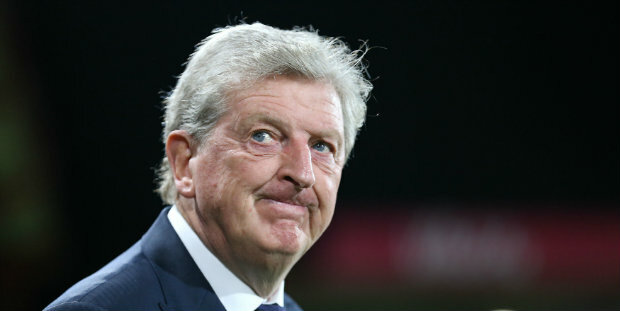 Roy Hodgson blamed his Crystal Palace players for their 3-1 defeat at Brighton after watching them concede two crucial goals when they remained in contention for victory. At 1-0 down Palace were presented with a fine opportunity when the hosts’ Shane Duffy was sent off, but instead of seizing on their numerical advantage they defended poorly and Brighton took advantage. The penalty from former Palace striker Glenn Murray came before goals for Leon Balogun – at a corner – and Florin Andone from what had appeared a lost cause, taking even a point against their rivals beyond Palace’s reach by half-time. Brighton had also produced one of their finest performances since their promotion to the Premier League in 2017, but Hodgson said: “We had to adjust, and we didn’t. The second and third goals are very disappointing and frustrating. “It wasn’t even an attack. It was a clearance. As long as they can defend sensibly in the second half, they feel as if they’ve won. There’s nothing positive I can say. 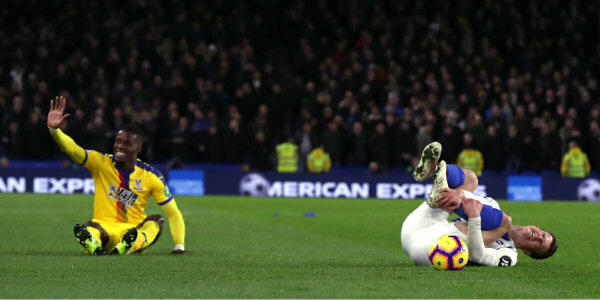 The sense of misery for Palace was heightened when, as confirmed by Brighton officials, one of the home supporters was ejected for throwing a pie at Wilfried Zaha during what their manager Chris Hughton described as a “special” victory. 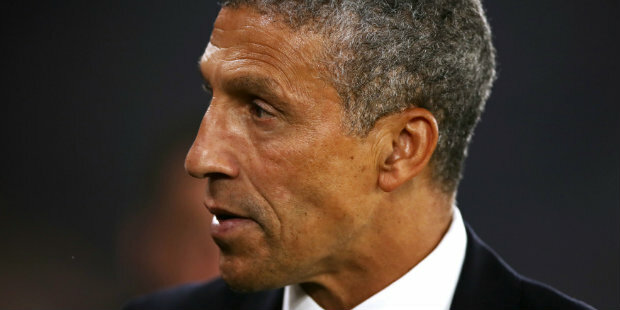 “It was one of the most special,” Hughton said after watching his team play with 10 men for over an hour. “Not because of the rivalry; there were a lot of incidents in the game, and probably (showed) what we learned. “We went down to 10 men against Leicester and we weren’t very good in that second half; they were better than us. But we’ve learned from that. We knew we had to work incredibly hard because they’re a gifted side, and if they’d got a goal earlier in the piece, it could have been difficult. “It was probably one of the proudest ones. We had to defend really well. I ended up being disappointed they got the penalty (scored by Luka Milivojevic). I know they had a lot of the ball, I felt we deserved the clean sheet. “Shane will have to learn from (his red card, for thrusting his head towards Patrick van Aanholt’s). He’s an experienced player who should know better, but he will learn from it. Be the first to comment on "Hodgson criticises Palace defending after loss to 10-man Brighton"